Well, I'll start with this: these are not Celebrity Love Connections. 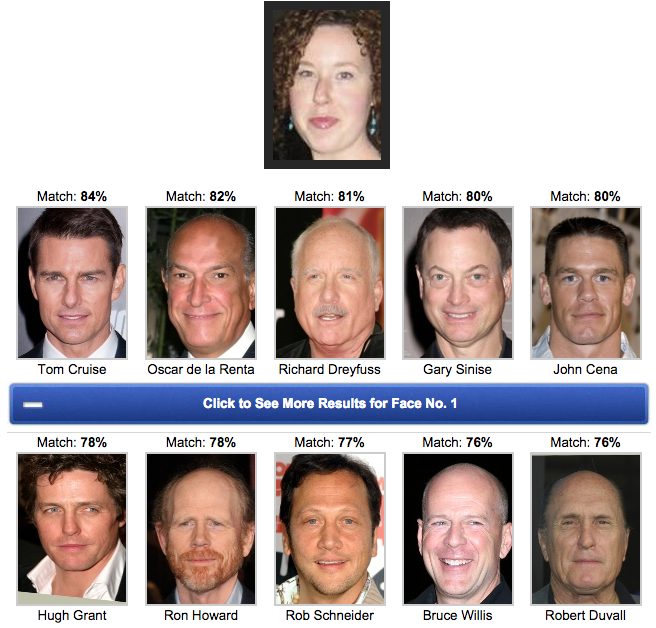 What you're looking at is my online generated list of Celebrity Face Matches. 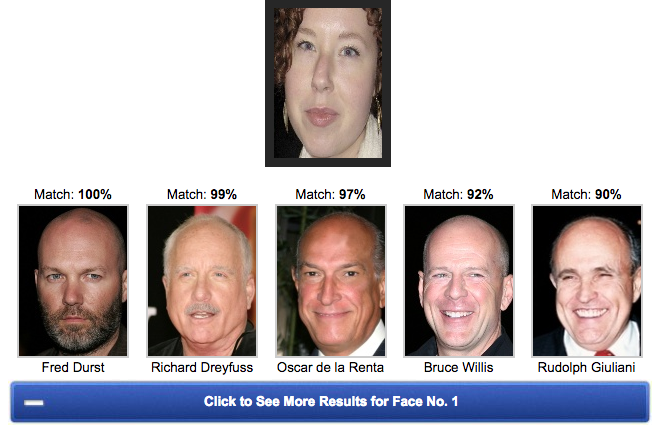 Your eyes do not deceive you: What you're seeing are the faces of five men, the youngest of whom is Fred Durst, born 1970—12 years before me—followed by next-youngest, Bruce Willis—born 1955. The eldest sir, Oscar de la Renta, clocks in at a good-for-him 82 years of age (exactly 50 years and 3 days older than me). 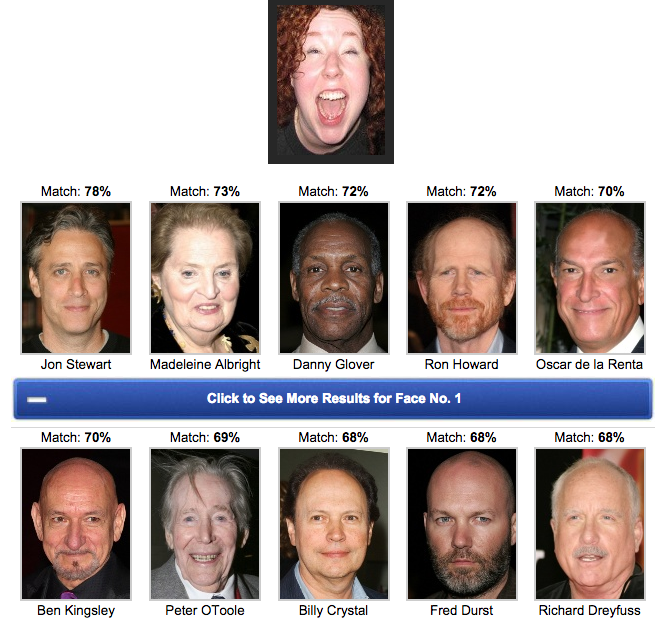 Good thing the click of a blue bar offered me additional celebrity matches! 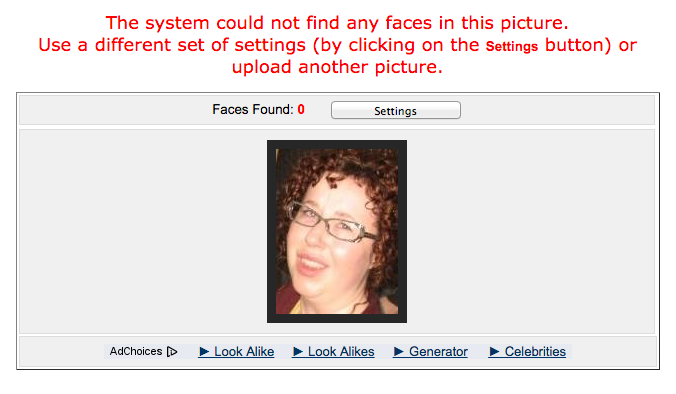 It's not that I wasn't thrilled to see Cate Blanchett show up as my face match. I just really, really wanted more women to show up. So I tried some more photos of myself—as if I was going to find a more “feminine” photo of myself than that one where I had a skinny face for, like, three days. Hmmm. Well at least this time two classically handsome actors showed up? But my desperation was increasing. 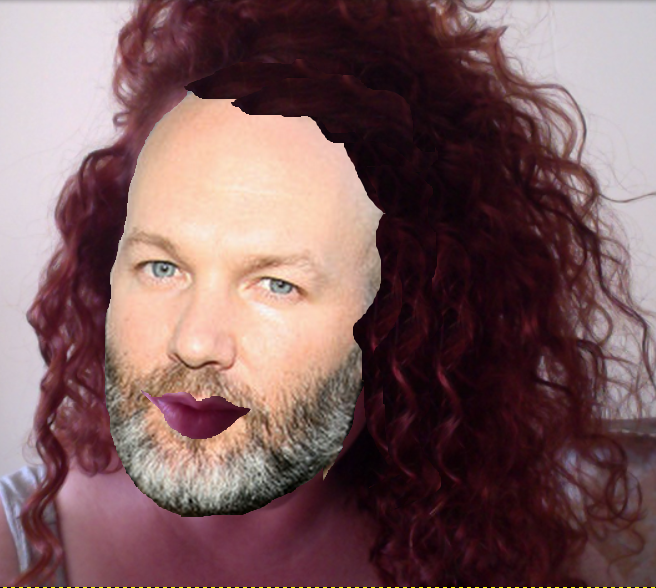 I dug deeper into the archives of photographic evidence of my existence. A woman! In the first row!!! But I wanted more. I dug even deeper. 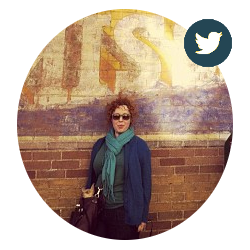 I mean I always liked to believe that I looked like Shalom Harlow or some other lady alien gazelle. But the internet never lies, even when mirrors do. Right?